Cloud Foundry User Account and Authentication (CF UAA) is an identity management and authorization service. More precisely, it’s an OAuth 2.0 provider allowing authentication and issuing tokens to Client applications. In this tutorial, we’re going to cover the basics of setting up a CF UAA server. We’ll then look at how to use it for protecting Resource Server applications. But before, let’s clarify the role of UAA in the OAuth 2.0 authorization framework. Let’s start by understanding how UAA relates to the OAuth 2.0 specification. The OAuth 2.0 specification defines four participants that can connect to each other: a Resource Owner, a Resource Server, a Client, and an Authorization Server. As an OAuth 2.0 provider, UAA plays the role of the authorization server. This means its primary goal is issuing access tokens for client applications and validating these tokens for resource servers. To allow the interaction of these participants, we need to first to set up a UAA server and then implement two more applications: one as a client and the other as a resource server. We’ll use the authorization_code grant flow with the client. And we’ll use Bearer token authorization with the resource server. For a more secure and efficient handshake, we’ll use signed JWTs as our access tokens. First, we’ll install UAA and populate it with some demo data. Once installed, we’ll register a client application named webappclient. Then, we’ll create a user named appuser with two roles, resource.read and resource.write. UAA is a Java web application that can be run in any compliant servlet container. In this tutorial, we’ll use Tomcat. Before we start it up, though, we’ll need to configure its data source and JWS key pair. By default, UAA reads configuration from uaa.yml on its classpath. But, since we’ve just downloaded the war file, it’ll be better for us to tell UAA a custom location on our file system. Alternatively, we can set CLOUD_FOUNDRY_CONFIG_PATH. Or, we can specify a remote location with UAA_CONFIG_URL. Note that we are deleting the last three lines because we are going to replace them in a moment. So, let’s configure the data source, where UAA is going to store information about clients. Of course, since this is a Spring Boot application, we could also specify this in uaa.yml as the spring.profiles property. Since we are using JWT, UAA needs to have a private key to sign each JWT that UAA issues. The authorization server will sign the JWT with the private key, and our client and resource server will verify that signature with the public key. Again, we could specify these in uaa.yml via the jwt.token.signing-key and jwt.token.verification-key properties. At this point, we should have a working UAA server available at http://localhost:8080/uaa. Note that if we don’t want to use command-line client, we can, of course, use UAA’s HTTP client. Now that we have uaac installed, let’s populate UAA with some demo data. At a minimum, we’ll need: A client, a user, and resource.read and resource.write groups. Basically, we can read this command as: “Give me a token, using client credentials with the client_id of admin and a secret of adminsecret“. The token is stored in uaac‘s state. So, let’s keep in mind these pieces of information and jump to the next step. In this section, we’ll use Spring Boot to create an OAuth 2.0 Client application. In this example, we’ve used version 2.1.3 of Spring Boot. Next, we need to register our client, webappclient. For more information about these properties, we can have a look at the Java docs for the registration and provider beans. Here, let’s login with appuser/appusersecret. The user can then grant which privileges she wants. For our purposes, we’ll select everything except resource:write. Whatever the user checks will be the scopes in the resulting access token. Once our client application receives this token, it can authenticate the user and they’ll have access to the app. 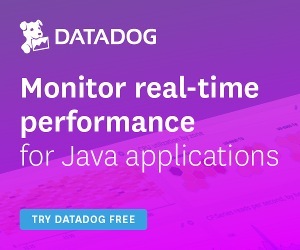 Now, an app that doesn’t show any data isn’t very useful, so our next step will be to stand up a resource server – which has the user’s data – and connect the client to it. The completed resource server will have two protected APIs: one that requires the resource.read scope and another that requires resource.write. What we’ll see is that the client, using the scopes we granted, will be able to call the read API but not write. The resource server hosts the user’s protected resources. It authenticates clients via the Authorization header and in consultation with an authorization server – in our case, that’s UAA. As with the Client application, we’re using the version 2.1.3 of Spring Boot. And that’s it! We should have a working resource server and by default, all requests will require a valid access token in the Authorization header. Next, let’s add some endpoints worth protecting, though. Note that the scopes supplied in the access token are prefixed with SCOPE_ when they are translated to a Spring Security GrantedAuthority. Note, though, that we can remove this boilerplate if we use WebClient instead of RestTemplate. As expected, the call of the /read API will succeed, but not the /write one. The HTTP status 403 tells us that the user is not authorized. In this article, we started with a brief overview of the OAuth 2.0 as it’s the base foundation for UAA, an OAuth 2.0 Authorization Server. Then, we configured it for issuing access tokens for a client and securing a resource server application.